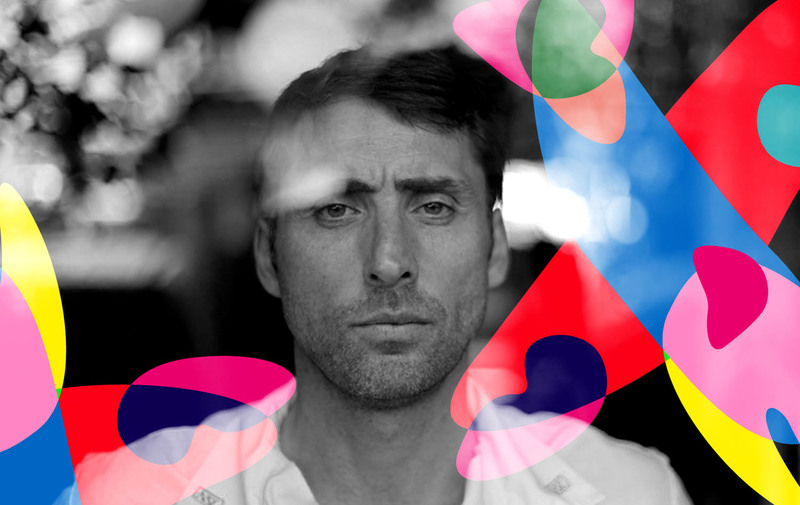 Originally from the Basque Country, Inaki Aizpitarte is the owner-chef of French restaurant Le Chateaubriand, nestled in the 11 Quartier of Paris. Learning his trade firstly by self-study, he then gained experience in a range of kitchens including Café de Terrace (run by Gilles Choukroun, who is leader of sorts for some young chefs), La Famille over an Montmarte and Transvelel, that sits within the MAC/VAL museum of contemporary art in the outskirts of Paris. He added the title of restaurant owner to his resume in 2006 with the opening of Le Chateaubriand, and by 2011 it stood proudly at #9 in the list of the world’s top 50 restaurants. 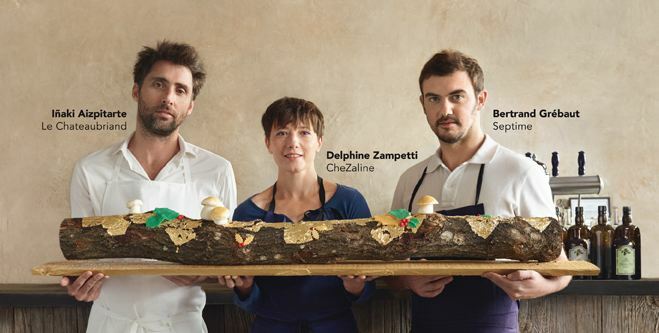 He added a second restaurant, just two doors down, in 2010 when he opened Le Dauphin and is marked a one of the stand-out young chefs leading the way in French Bistronomy movement, opening up the accessibility of French cuisine. Inaki-san (whose first name is far easier to pronounce to Japanese people than that Basque surname) is one person that SaraWaka has had her eye on for an interview subject for a while. Her visits to his restaurants are the culinary equivalent of a Christmas cracker: you never know what you’re going to get, but you’re guaranteed it will have a certain sparkle. Tomato gazpacho with coffee beans smuggled inside! Pork combined with grapefruits! As surprised as she was to see such concoctions, it did not quite match her shock when she saw a poster of Inaki on the Paris metro and realized that the man behind such concoction was a) so young; and b) the owner of a face that wouldn’t look out of place on the front man of Maroon 5. With one glance at that poster, SaraWaka’s motivation to interview Inaki cranked up a gear. Or two. It took four visits to the restaurant before SaraWaka had the courage to approach him, but on that fourth time, she went for it and he was so friendly. So kind and agreeable. And with that, SaraWaka had his number! On the interview day itself, just when SaraWaka was lost in the depth and loveliness that is Inaki Aizpitarte, she realized she had forgotten to insert the memory card into her camera! Embarrassed by such a school-girl blunder, SaraWaka’s face slowly turned as red as a tomato gazpacho with coffee beans smuggled inside, but, again, in stepped the wonderful Inaki: “Don’t worry about it…. you can always swing by the restaurant and take a photo some other time…” So kind. So lovely. So after that, thinking that just going for a photo would be a little cheeky, SaraWaka tried to make a dinner reservation. It’s a difficult place to get a reservation: on top of being extremely popular, they also only except reservations for four and a half hours per day. And as per usual, when she made the call that day, she couldn’t get through. After a little while of frustrated attempts, someone finally picked up but her request for a 2 person reservation for next Friday was meet with a confused: quoi?? The line was bad and after a little rally of back and forth unanswered bon jours, the other end hung up. She tried calling again – eventually being passed to a messaging service, the standard type that a mobile phone operator has on all phones and no-one knows how to check… Thinking it was a little strange that a top restaurant was using a machine messaging service, she checked the number. And yes, she had been calling the chef’s mobile, not the restaurant. And she had left the number of missed calls on his phone that a stalker would be proud of. Any attempts of making a more professional impression this time around following the memory card blunder were now definitely scuppered… she was now worried that he might withdraw his permission for the interview even – no-one likes a stalker after all. So she decided to leave it for the day and have a think. The sun rises on the morrow and … her phone rings: it’s Inaki! “You need a photo right? Come by anytime this week, I’m in the restaurant everyday.” So kind. So lovely. You could search the world for a more generous chef, but SaraWaka is pretty sure that search would probably end up at the welcoming door of Le Chateaubriand. SaraWaka : Bonjour Inaki-san! Today I will conduct the interview in my slightly-less-than-perfect Francais, s’il vous plait. SaraWaka : I saw your poster on Le Metro Inaki-san, you A-Lister you! Tell me about your background? Inaki : My name is Inaki Aizpitarte. I am the owner-chef of Le Chateaubriand and Le Dauphin. I also am a partner in Le Cave, the small wine shop that sits between my two restaurants. I’ve been a chef for about 15 years, but only took to the kitchen when I was 27 after having studied landscaping, so my career began fairly late. SaraWaka : Interesting. So you began at 27, which makes you how old now? SaraWaka : 42! I thought you were around 32! I’m shocked. And where are you from? 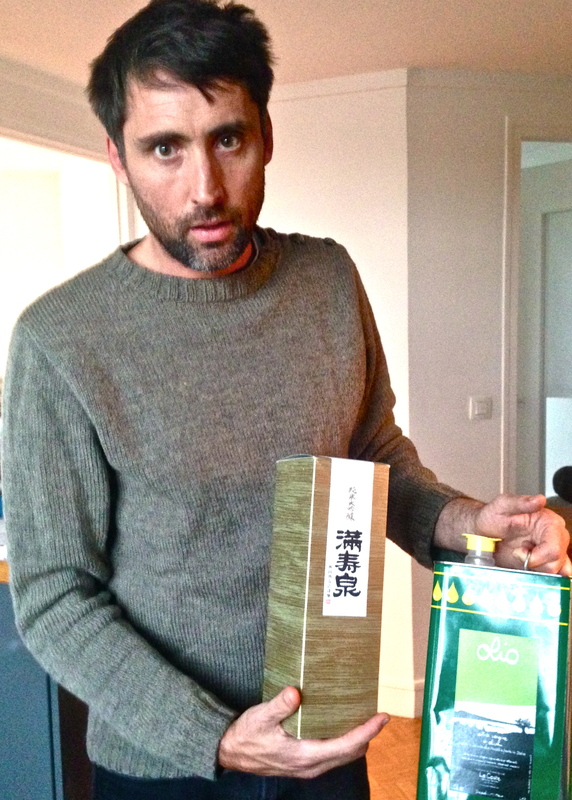 Inaki : I’m from the Basque Country. My father is Spanish Basque, my mother on the French side. And I grew up in the French Basque Country, but I spent a long time living in Bordeaux and other areas too. SaraWaka : Interesting. And what brought you to cooking ? Inaki : I was travelling to Tel Aviv and had an opportunity to work in a kitchen. I then moved to Paris and began study cooking. But, when I say that, I didn’t go to a school. I just studied by myself. But I was fired up with passion for it, and knew I had to skill-up quickly because I was late to the game in terms of my age, so I proceeded at quite a tempo. I became a chef at La Famille, I was also involved in the opening of a restaurant a the MAC/VAL contemporary art museum. 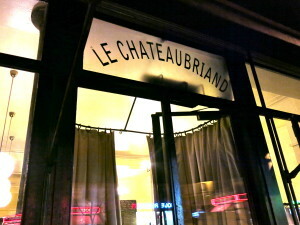 Then I opened Le Chateaubriand, 8 years ago, and then Dauphin almost 4 years ago. SaraWaka: You’re a very international chef. Does your cuisine find inspiration from all these different cultures you’ve been exposed to? Inaki : Not just cultures, many things I think. 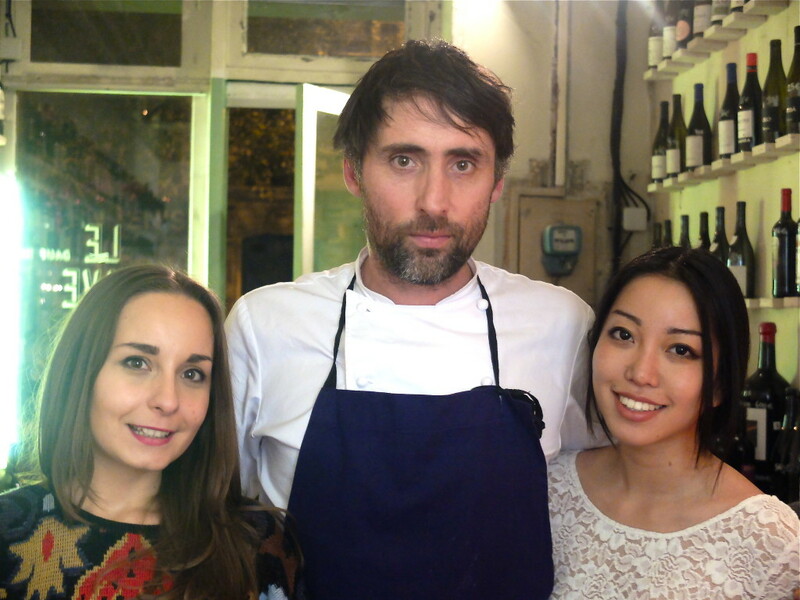 For example, the Belleville area that Le Chateaubriand is in is probably the most modern area in Paris, very open to all different cultures, and I’ve taken that cosmopolitan atmosphere and inserted it into my cooking. I think you could say that the food at Le Chateaubriand is a reflection of the colour of this area. SaraWaka : I’ve been lucky enough to dine at Le Chateaubriand with a variety of people, and everyone says they feel very at home with the food there. Especially Japanese people. I think it’s because they can truly enjoy the real taste of fish there. Inaki : Yeah, probably because I use a lot of shellfish and seafood, and really try to infuse the flavours of the ingredients. But, that makes me happy to hear. I personally am a big fan of Japanese food. SaraWaka : Would you say your food has been influenced by Japanese cuisine ? Inaki : Of course I think you can say I have been influenced. Japanese food became a worldwide trend in around 2000, so I think many chefs have been influenced by it. Unknown flavours, textures, methods of using raw ingredients like you have in sushi. SaraWaka : What about Italian food ? 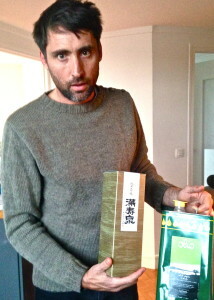 Inaki : I feel Italian food isn’t properly known in France. I think being neighbouring countries actually has the reverse effect; the closer you are the more people think that the kind of know what it all about, and as such the interest isn’t there. For your average French person, Italian food is pasta and pizza, but the reality is that depending on the region of Italy, completely different food is served. Italian food is not as simple as French people think. On the other hand, Italian cuisine does still hold strong to its traditions, which does add a level of difficulty to break out of those constraints and do something creative. SaraWaka : You know a lot about many different cultures and fields; I feel like I am learning a lot from talking to you. On that note, every time I visit Le Chateaubriand, I think that it somehow retains this feel of the good old days, but its service and food are very modern. I like the atmosphere a lot. Inaki : A bistro’s atmosphere is created by the cocktail of the interior, the food, the waiters, the sommelier as well as the guests who come to eat. I don’t like forcing the people I work with to be constrained by too many rules. Everyone has their own thoughts and personalities, and bring those to work, so I respect that. SaraWaka : Really. Such a contemporary chef. Last question: what is art for you ? Inaki : Hmmm… Some people say cuisine can be art, but I don’t really follow that. I’ve made some good artist friends recently, and when I see what they create I think cooking is different. Food does have that level of precision that art also does, but cuisine also has hospitality, money, service – it’s a mechanical and daily thing, so you can’t really compare to art. Of course, artists are trying to say something via their creations, and I think we are trying to say something via our cooking too. The creative process in both are different and have different appeals, so for me they are two totally separate things. SaraWaka : Inaki-san…I had no idea you could talk so well about so many things. And for that reason, I would like to give you not a Michelin Star, but a Wakapedia Star!! Inaki : … thanks, I guess. SaraWaka : Thank you so much for today ! And to finish the interview in the Wakapedia-style… a kiss please ? Inaki : A kiss. [he’s a little surprised].. okay.